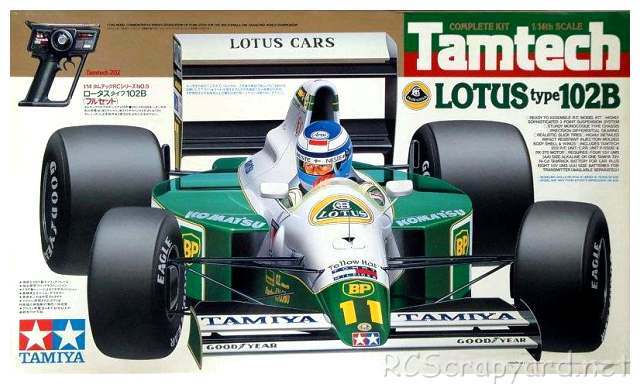 47009 • Tamiya Lotus Type 102B • (Radio Controlled Model Archive) • RCScrapyard. 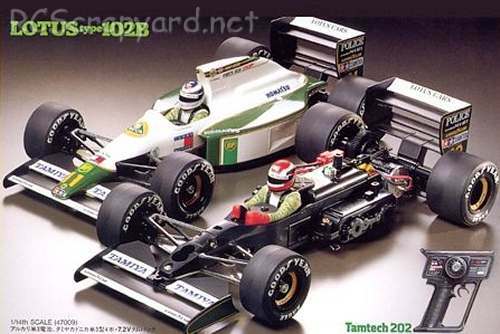 Released by Tamiya on March 24, 1992, the 2WD TamTech Lotus Type 102B (#47009) came as a complete assembly kit, with a TamTech 202 R/C Radio Unit, C.P.R Unit P-05DB and an RK-370 electric motor. 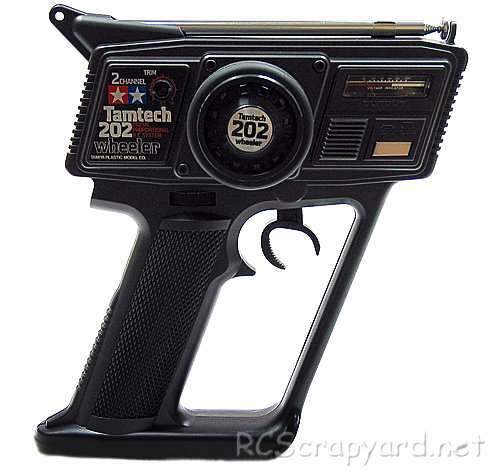 A 7.2v NiCad battery and charger are required to complete. The model is the perfect entry level car for those new to RC.